Today South Africa is celebrating or rather remembering the youth who fought for equality during the Apartheid era with a protest which turned horribly violent and deathly and while everyone is enjoying a typical South African winter's day (which is kinda beautiful) I think people are forgetting what the point of today. Either way I hope wherever you are in the world you are enjoying this Monday, here's some motivation for the week ahead...! 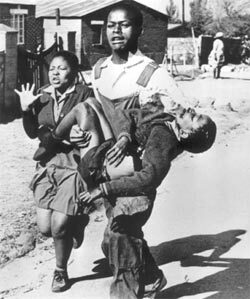 My thought for the week South Africans, children died for you to live the life you do today, the freedom that you possess - are you living your life in a manner which justifies that loss?